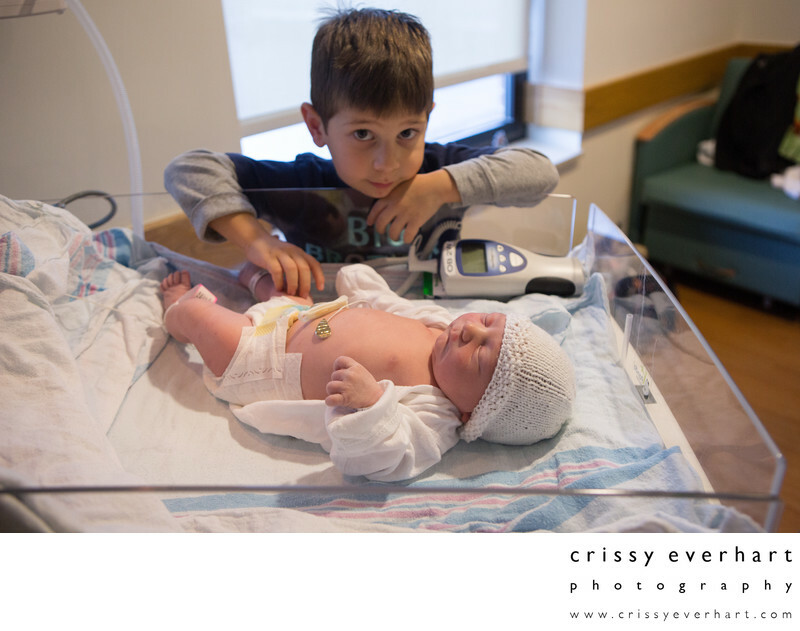 A new big brother stands over his baby sister, only several hours old. The newborn is asleep in the hospital warmer, with a knit hat and open infant onesie and diaper. I just love the sincerity on the boy's face as he puts his hand on her leg and glances up at me taking the photo. Location: 255 W Lancaster Ave, Paoli, PA 19301.